Mac begins combing the backstreets of the Twin Cities, tracking down Jamie's last known associates. He starts with the expected pimps and drug dealers, but the path leads surprisingly to some of the Cities' most respected businessmen, as well as a few characters far more unsavory than the street hustlers he anticipated. As bullets fly and bodies drop, Mac persists, only to find that what he's looking for, and why, are not exactly what he'd imagined. 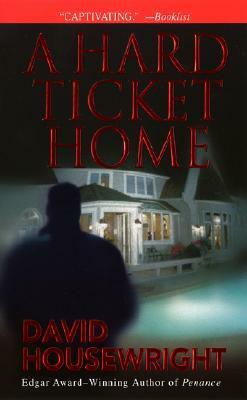 David Housewright's uncanny ability to turn the Twin Cities into an exotic, brooding backdrop for noir fiction, and his winning, witty hero Rushmore McKenzie, serve as a wicked one-two punch in A Hard Ticket Home, a series debut that reinforces Housewright's well-earned reputation as one of crime fiction's rising stars.